SOUTH PADRE ISLAND — Everyone wants to catch the fish of a lifetime. 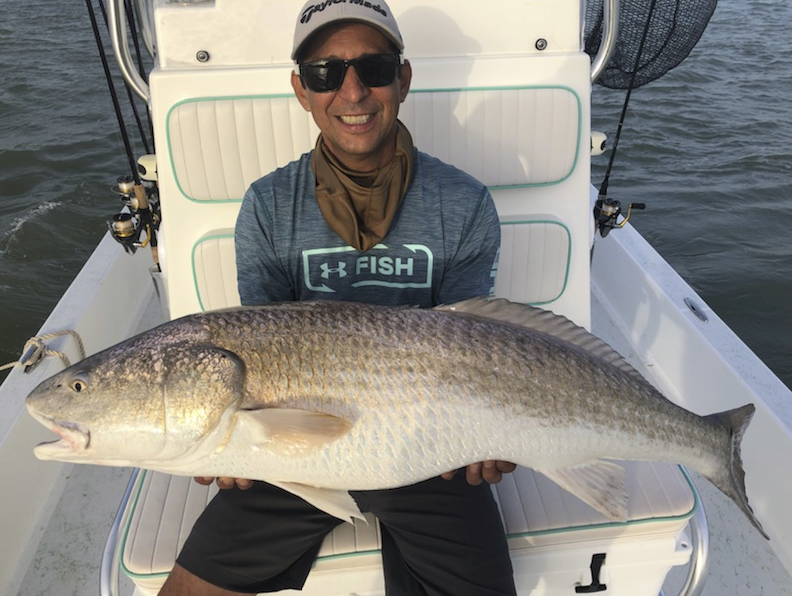 After last month’s major thunderstorms, a few lucky anglers fishing the Laguna Madre did exactly that. The fishermen’s rods were bent as if ready to snap as they struggled to reel in monster-size bull redfish. To keep the memory of the big catch alive they sent their monster catches to be stuffed and mounted by the local taxidermist. Sandy Margret, taxidermist at the Kingfisher Gallery and Taxidermy on the Island, said she was flooded with the bull redfish for nearly a week straight as anglers came in with requests for mounting. “The fish are so impressive and it’s so unusual to catch redfish that size this time of year that all of the (fishing charter) clients immediately brought them over to my studio,” Margret said yesterday. Island fishing charter Capitan David Leal came into her studio with clients and their catches, she said. She said that as of Thursday, she had five of the giant redfish in the freezer waiting to be mounted. Leal said these fish are normally not in the bay. “We don’t catch fish like these all the time,” Leal said. He said about five days after the recent storms the bull reds measuring a whopping 40 inches and more started biting. He said fishing has been phenomenal since the storms. Leal believes the fish entered the Laguna Madre from the recent runoff of water from the Arroyo Colorado and spillway. He said the freshwater influx from the recent storms is the reason the large redfish were in the salt water bay avoiding the fresh water. 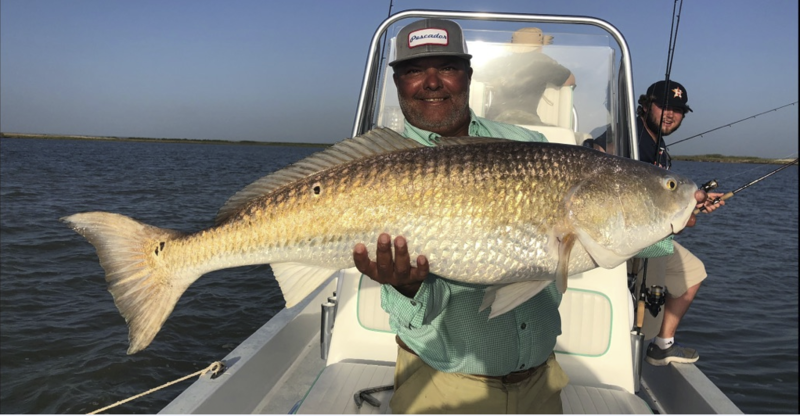 Leal said he’s been guiding fishing trips for more than 20 years and has never caught large bull redfish like he has recently. He called the experience of catching a monster bull red a long, hard and exciting fight to reel in. “The fight lasts anywhere from 30 minutes to an hour,” Leal said.